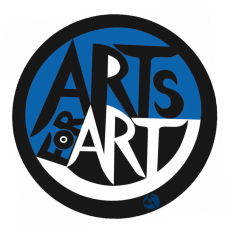 WhAT IS ARTS FOR ART? Vision Festival 22, NYC's world-class FreeJazz Festival, takes place May 29 thru June 3, 2017 at the Historic Judson Memorial Church in the heart of Greenwich Village. The Vision Festival brings together more than 200 artists with a diverse audience of over 4000 in a great week-long celebration of cutting-edge music, dance, poetry, art and ideas where artists and audience mingle. - Tickets for 1 night/2 guests. - Performances by the Best Free Jazz artists in music, dance, poetry and visual arts. - The LIFETIME Achievement bestowed on legends in the field. - FORUMs that address the role of artists in the ongoing struggle for our collective humanity. The Vision Festival receives visibility in major jazz publications such as Downbeat as well as the New York Times and Wall Street Journal.